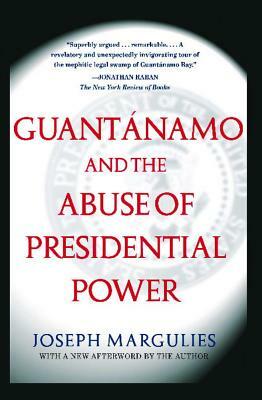 Simon & Schuster, 9780743286862, 352pp. The detention system established by the Bush Administration at Guantánamo Bay Naval Station in Cuba is like no other in our nation's history. Joseph Margulies traces the development of this detention policy from its ill-conceived creation in 2002 as "the ideal interrogation chamber" to its present form, where most prisoners are held without charges in a super-maximum security prison, even though the U.S. government has acknowledged that many have been cleared for release and most of the others are not even alleged to have committed a hostile act against the United States or its allies. Margulies, who was the lead attorney in the Supreme Court case Rasul v. Bush, writes that Guantánamo and other secret CIA and Defense Department detention centers around the world have become "prisons beyond the law," where the Administration claims the right to hold people indefinitely, incommunicado, and in solitary confinement without charges, access to counsel, and without benefit of the Geneva Conventions. Weaving together firsthand accounts of military personnel who witnessed the interrogations at Guantánamo along with the words of the prisoners themselves, Margulies exposes the chilling reality of a "war on terror" that masks an assault on basic human rights -- rights to which the United States has always subscribed. Joseph Margulies is an attorney with the MacArthur Justice Center and a law professor at Northwestern University Law School in Chicago. He and his wife live in Chicago. "One of the Best Books of the Year."